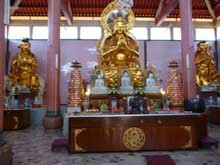 Sam Poh Buddhist Temple located in Brinchang. It built high on a hill overlooking Brinchang town. 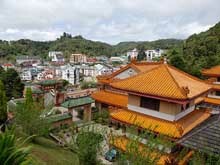 Due to its location, the temple has a good view of Brinchang town and the houses that dot the little hills surrounding Brinchang. 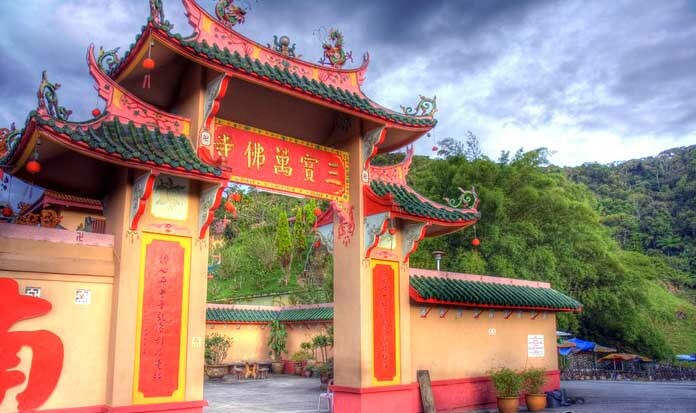 Sam Poh Temple built in 1972, is is the 4th largest Buddhist temple in the country. Amongst others, it houses a large statue of Lord Buddha, the founder of Buddhism. 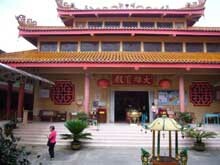 The temple is quite pretty and has been well maintained by residents and monks. Surrounded by a bright yellow wall, the temple is serene and peaceful. Inside are lots of different statues, both Buddhist and Chinese, and incense burning in the background in memory of those passed on. Remove your shoes before entering the temple halls. But be careful, the marbled floor is so chilly to the feet without wearing a pair of socks. 4l Miles, Brinchang, 39100 Tanah Rata, Cameron Highlands, Pahang.